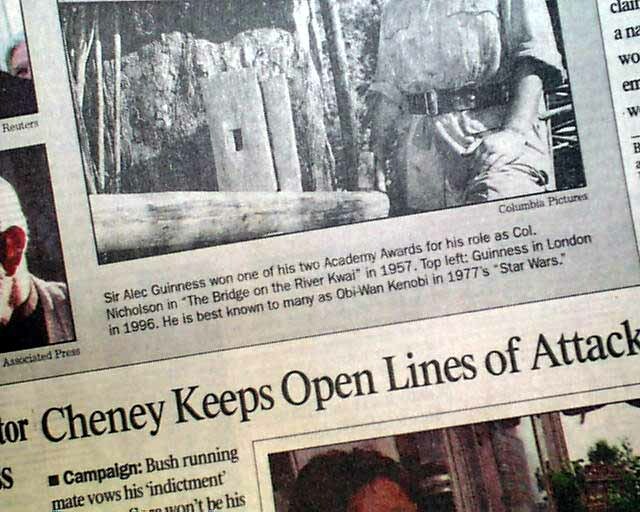 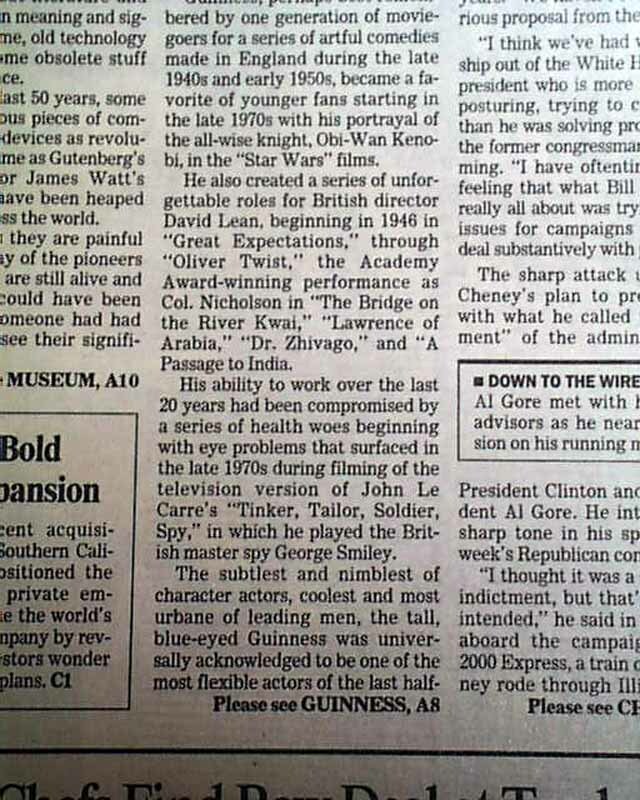 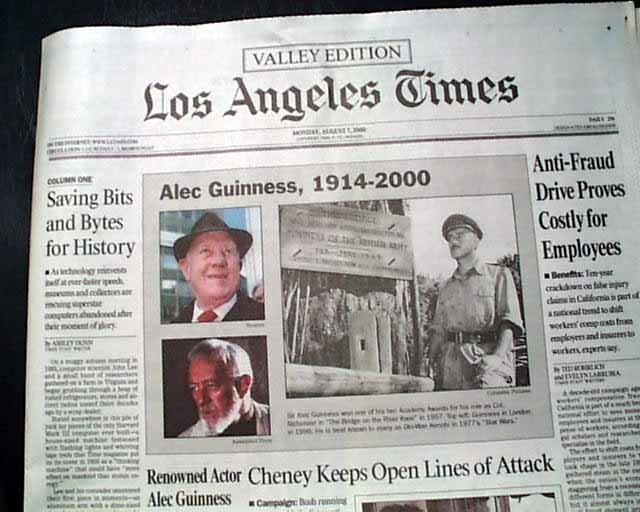 The top of the front page has a boxed section headed: "Alec Guinness, 1914 - 2000" with 3 photos of him (one from Star Wars). 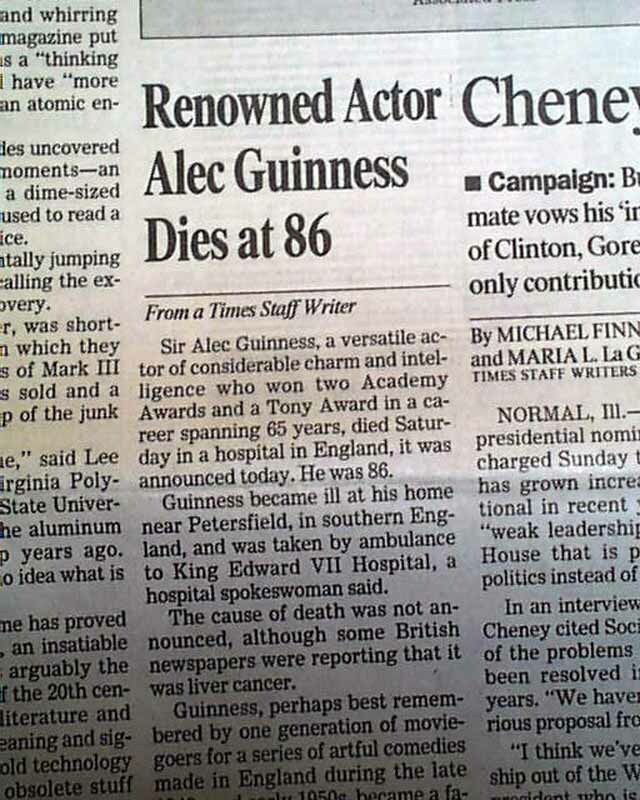 A column is headed: "Renowned Actor Alex Guinness Dies at 86" with the report carrying over to page 8 taking up half the page with 4 more photos. 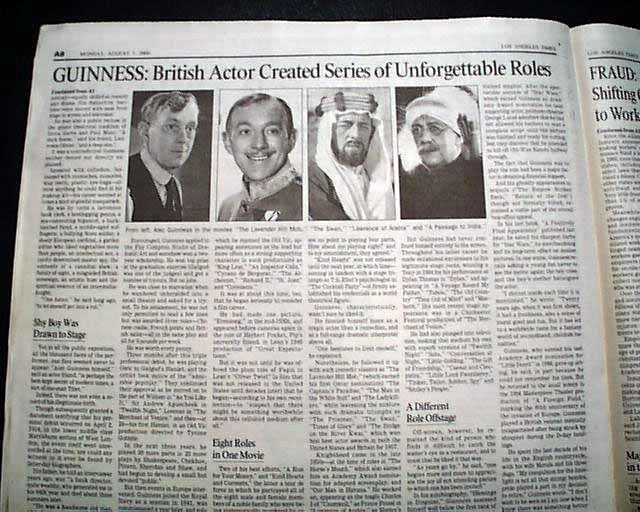 Nice to have this report in a newspaper from the capital of the entertainment industry. 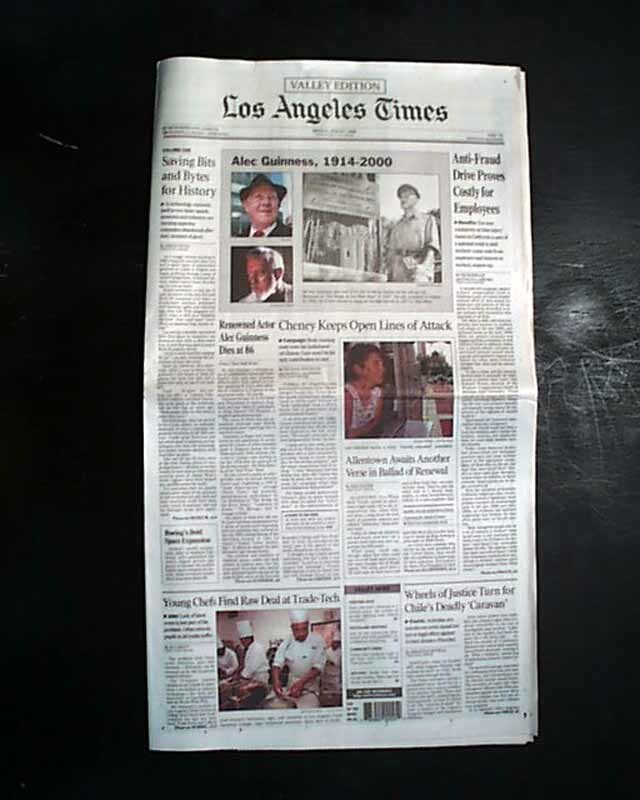 Complete with all sections present, great condition.